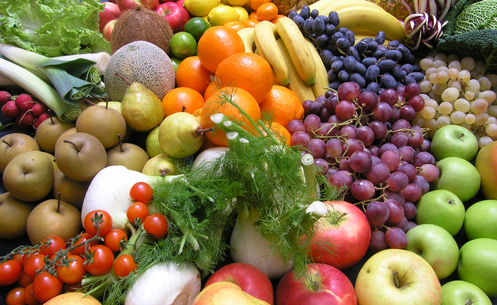 Nutrition in Organic Foods and Produce - Better for You? Blog Organic Foods and Produce - Better For You? I have a few bones to pick with this study. One, the research used many old studies, from 1980 or earlier which may have flawed methodology since many studies performed since then have showed clear nutritional differences between the different growing methods*. Secondly, the study doesn’t look at differences in certain antioxidants and polyphenols – the new hot nutrients as of late (just look at the new Rice Krispies box) which are much higher in organically grown foods. The biggest of all is: does any of this really matter? Margaret Southern makes a good point when she asks: “Isn’t it more about what’s not in the food than what is?” Not only that but how does the farming technique impact the land, water and communities near it? We don’t live in the time of family farming anymore, where individual farmers and their families cared about the land and the food they grew. Now days farming practices can be downright destructive. Crops genetically modified to resist the large amounts of pesticides applied indiscriminately, huge monocultures which are more susceptible to disease and infestation, the abuse and destruction of soils in favor of short term production. There is a reason you need to wash your produce now (with soap), and its not to remove dirt – its to remove layers of accumulated pesticides and sewage sludge used to fertilize the plants. This study, along with the countless organic ‘skeptics’, are nothing more than a distraction to the real issues and benefits to organically grown food. Chemicals and poisons which end up in your body, in the water and in the soil aren’t part of organic farming, and they aren’t necessary at all. Organic farming practices promote a more natural and renewable environment rather than the short term ‘use it till you lose it’ mentality. So what does all this mean? Well for starters, your choices matter. We live in a time where you can have fresh strawberries in the dead of winter in a New York City grocery store, bananas in Canada and pineapples in China. The most important choice you can make is to buy local and in season. Supporting your local farmers, organic or not, goes a long way in getting the freshest, most nutrient-rich produce available. This also cuts down on the overall environmental impact and footprint of that item. Try to buy organic, but don’t take out a loan or pass up on fruits and vegetables if you can’t. Journal of Agricultural and Food Chemistry, Vol. 56, pages 5,788-5794 (2008), published online on July 1, 2008. Environmental Health Perspectives, Vol. 109, No. 3, March 2001 (pp. 299-303, C. Lu, D.E. Knutson, J. Fisker-Andersen, and R.A. Fenske, “Biological Monitoring Survey of Organophosphorus Pesticide Exposure among Preschool Children in the Seattle Metropolitan area”). Subsequent study: Environmental Health Perspectives ehponline.org, posted online Oct. 31, 2002, C.L. Curl, R.A. Fenske, and K. Elgethun, “Organophosphorus pesticide exposure of urban and suburban pre-school children with organic and conventional diets”]. New Scientist magazine, March 16, 2002, page 10; European Journal of Nutrition, Vol. 40, page 289. Nutritional Quality of Organic Versus Conventional Fruits, Vegetables, and Grains,” by Virginia Worthington, published in The Journal of Alternative and Complementary Medicine, Vol. 7, No. 2, 2001 (pp. 161-173). I saw the Penn and Teller episode, it was pretty amusing, if a little disheartening. My favorite part was when the uber-leftist organic food fans were subjected to the blind taste test and couldn’t identify the organic foods from the others. I think the point to take away from all of this is that reduction is the most important “R”. If all the arable land in the world were used for organic farming, we’d only have enough food to satisfy 1 million people. The sad fact is we need chemicals.